I am down at our distillery this Cinco de Mayo, and unlike the many Mexican American restaurants stateside, it is just another day here. While the battle the date celebrates does have significance, it is not the Mexican 4th of July that many Gringo's assume it is. Cinco de Mayo’s Influence in the US has much more modern roots, developing out of the Chicano Movement of the 60’s and 70’s. Today even this is forgotten as we now often call the day "Drinko de Mayo". Being that I am the CEO of a Tequila company, I will not try to be sanctimonious as we do sell a lot of Tequila this day and count Cinco de Mayo as the unofficial start of our busy season. However, I do want to reflect today on Tanteo being both a Mexican and American brand, just like Cinco de Mayo. 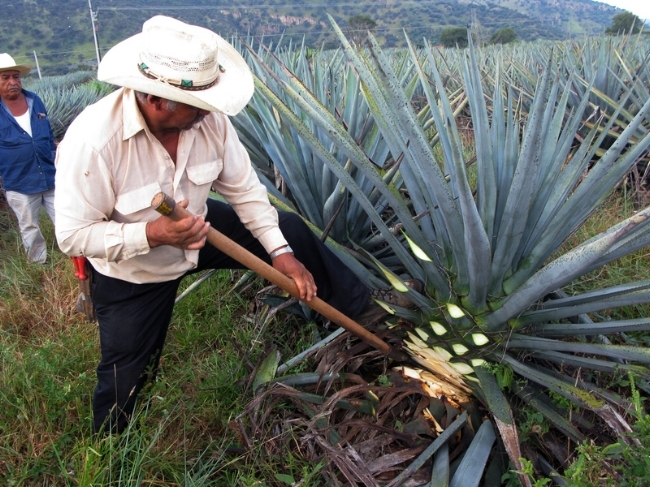 Tanteo is 100% Agave Tequila, and therefore is born in Mexico. The Blue Weber Agaves are cooked, fermented, distilled, infused and bottled in Jalisco, Mexico. We use Mexican Jalapeños, and source our glass, labels, and corks all here locally. We have great people working with us down in Mexico, and are proud to grow our business and our presence in the local community. We are proud of our Mexican origins, and the many more traditional Tequila distilleries that are our neighbors. But Tanteo has been raised in the USA. Our leadership team has spent their adult life in New York City, we have been inspired by the work of many American Mixologists, and are usually consumed in margaritas, a very American drink. We designed the bottle for the American bar and bartenders, almost all of our distribution is in the US, and one of our busiest days of the year is the 4th of July. We are equally proud of our twist that goes beyond ordinary Tequila, and strive to push the boundaries of what Tequila can be. Tanteo is neither American nor Mexican but a blend of both cultures. Have drink or two today (hopefully with your favorite Jalapeño Infused Tequila) but know that this holiday, just like this Tequila, is celebration of both cultures.